State historic preservation agency must determine if thousands of new trusts created by opponents of the district are valid. 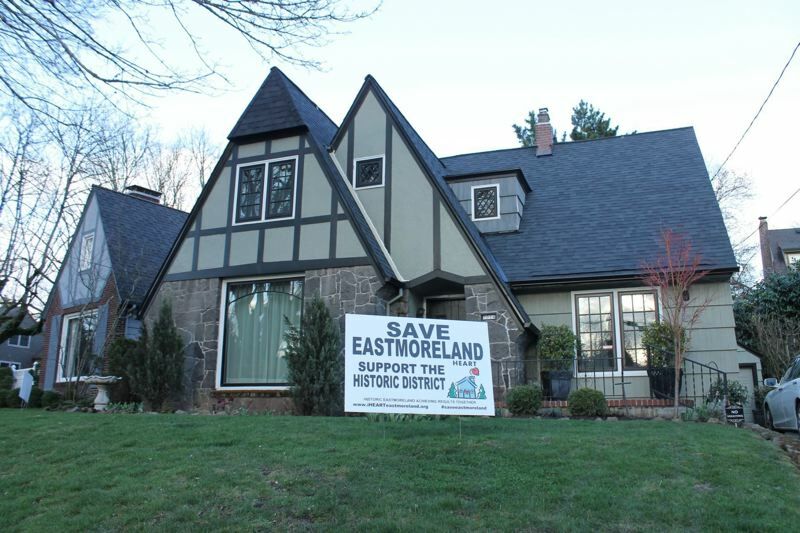 Federal officials sent the rejected Eastmoreland Historic District nomination back to the Oregon State Historic Preservation Office last week for more review. The National Park Service, which maintains the National Register of Historic Places, wrote in a June 29 letter returning the nomination to the state, that the Oregon agency needed to determine if homeowner objections using thousands of newly created trusts to block the nomination were valid. The state forwarded the nomination early this year, noting objections from about 82 percent of district property owners, which meant the district could not be listed on the national register. Residents of the upscale neighborhood have tussled for more than two years over the proposal to create a historic district. Some who support the plan say it could block potential infill development and demolition of large homes that could be replaced by small lots. Others opposed the plan because it could restrict what they could do with their property. The State Advisory Committee on Historic Preservation sent the district's nomination to federal officials in May 2017 with a report on the thousands of objections and recommending the area not be listed on the national register. The National Park Service returned the nomination in July 2017 for procedural errors and the state agency began figuring out how to deal with the new trusts formed by homeowners who opposed the district. On June 9, federal officials told the state agency review the validity of the homeowner trusts. "From the comments we received it is clear there is some question as to whether these trusts are valid, have legal effect, and constitute a 'fee simple' holding, as is required by our regulations," wrote Joy Beasley, National Park Service acting associate director and keeper of the national register in the June letter. "Put simply, the (State Historic Preservation Office) needs to ascertain whether these trusts are valid and whether they have a fee simple ownership in the properties at issue." State historic preservation officials say they will develop a plan to respond to the National Park Service. No timeline has been set for the agency's response.